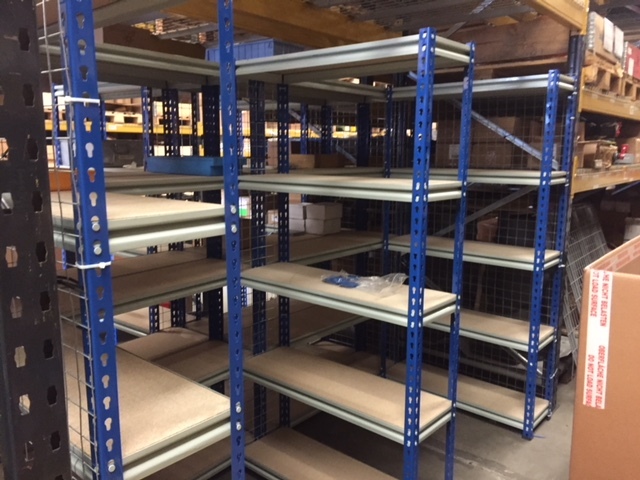 Storage Concepts have recently supplied and installed a walk in rivet shelving system underneath existing pallet racking for small parts storage. At Storage Concepts, our goal is to help you boost storage capacity and increase process efficiency in your warehouse. We will manage the entire design, supply and installation process, providing a fully integrated steel shelving units solution. Our versatile metal shelving products can be tailored to suit your exact requirements. Various dimensions and weight storage capacities are available.